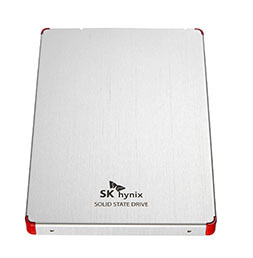 SK hynix has made a concerted effort to break into the consumer solid-state drive (SSD) market after launching a number of models in the preceding year. First came the SH910A in August 2014, followed by the SC300 this year. 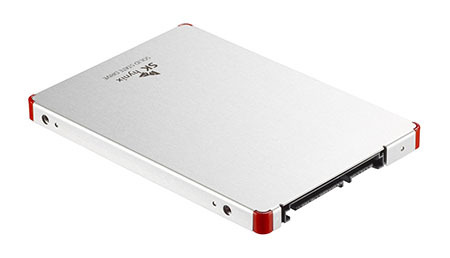 Now, SK hynix is updating the consumer line with the recently announced SL301, available in 250GB and 500GB capacities and presented in the regular 2.5in form factor. What's more, keen pricing - sub-£50 for the 250GB model, potentially - makes the SL301 one of the most value-conscious SSDs available. It's a shame the SL301 isn't offered in a greater number of form factors, but regular SATA remains to go-to choice for the modern PC builder. Basic throughput for both capacities is decent, especially the sequential writing speed which is close to 500MB/s. Previous budget SK hynix drives have, on the lower-capacity model, been hamstrung by speeds of 200-300MB/s - and you can certainly tell the difference when transferring large amounts of data from one drive to another. Moving on down, IOPS remain strong across both capacities, though it's customary for companies to offer a peak 4KB read speed instead of the steady-state numbers - we'll get to those in due course. Naturally, SK hynix keeps everything in house to minimise costs and keep an eye on quality and reliability. This time around, the controller is same as the previous version, LM878100AA, though, keeping price aggressive and costs in check, SK hynix changes to triple-level cell (TLC) memory instead of MLC. The upshot of carrying more bits per cell is a warranty that's reduced from five years to three. There's no word on endurance, mind. Given that SK hynix is using TLC rather than MLC, the sequential and IOPS speed is impressive. The company must have enough confidence in the memory's program-erase cycles capability for it to be a viable product in the marketplace, and we guess the extra few GBs of overprovisioning helps in levelling the wear across the NAND. 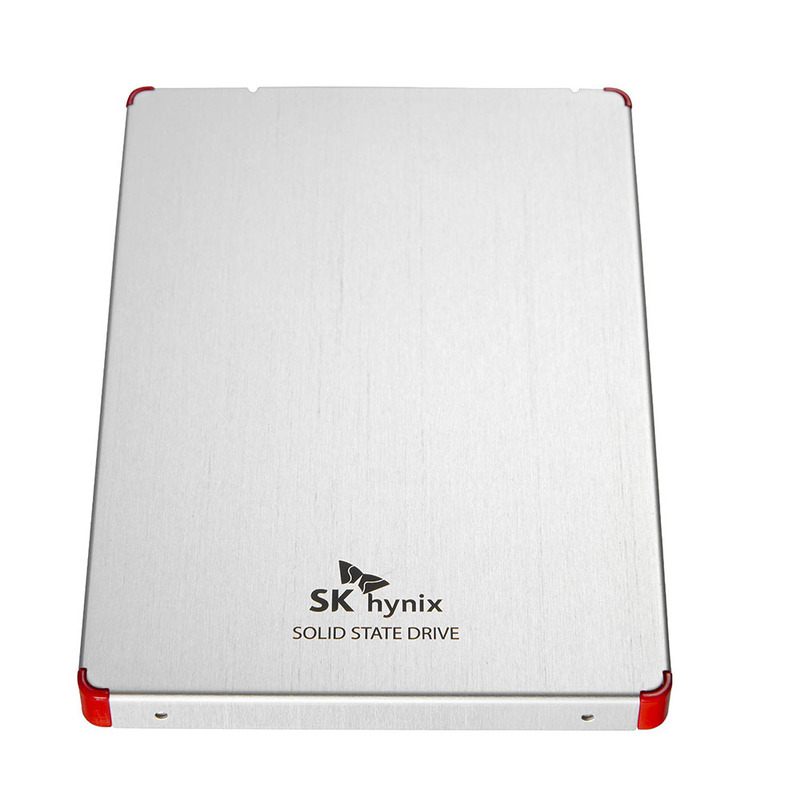 SK hynix also includes data-migration software via a web-downloadable link but doesn't have a Windows-based utility for monitoring and reporting, such as SSD Toolbox. Firmware updates, meanwhile, are carried out a via a simple and straightforward tool available from the official SK hynix site. The aluminium shell has had a slight aesthetic tweak between generations, now with four red accents around the corner rather than the full red band. Build quality remains good - the drive has no squeaks or rattles. 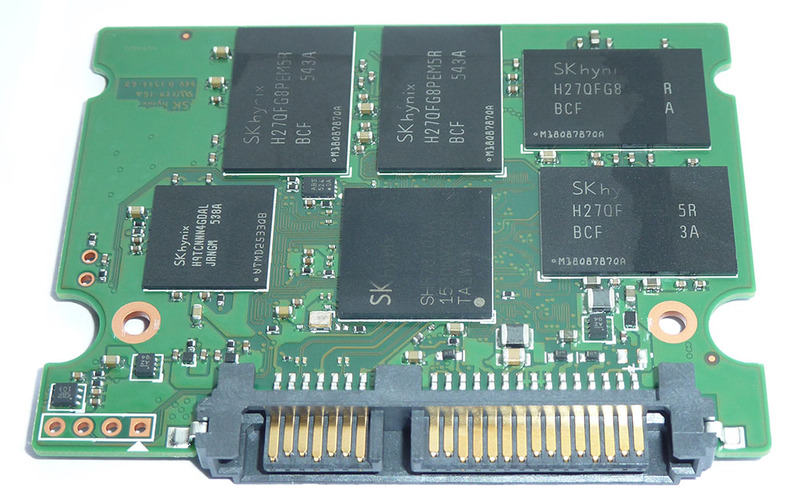 It's interesting to see SK hynix shrink the PCB to roughly half the size of the previous drives. The range-topping 500GB SSD, in for review today, continues to carry eight 512Gbit chips arranged equally over both sides. Buffering operations is a 256MB chip from the company's DRAM stable. The PCB is kept in place by a plastic cage while the controller and DDR buffer memory is in direct contact with some thermal tape. 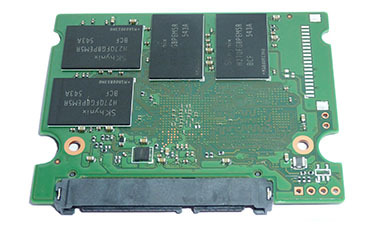 The casing acts as a larger heatsink, though the controller and NAND become lukewarm at best. Driving down price by adopting TLC-based NAND alongside a proven controller, let's now see how well it fares against a bevy of other similar drives.